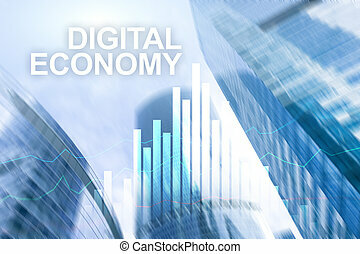 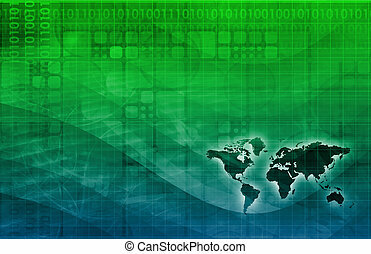 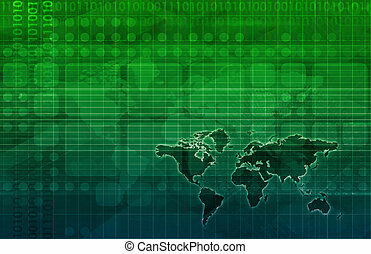 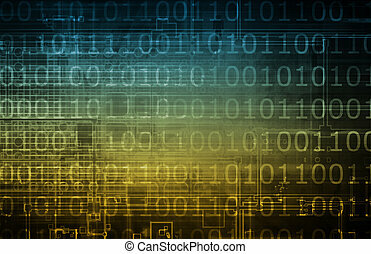 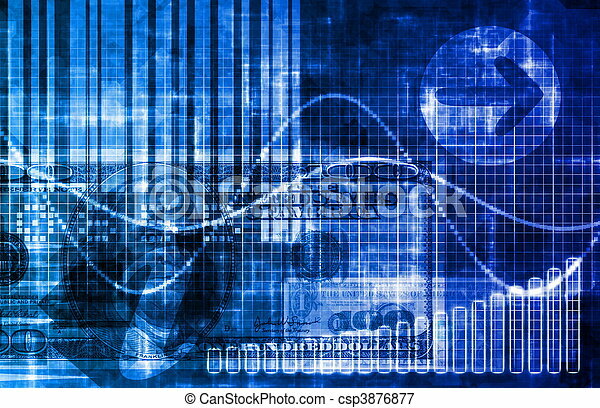 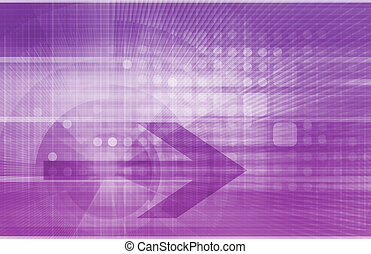 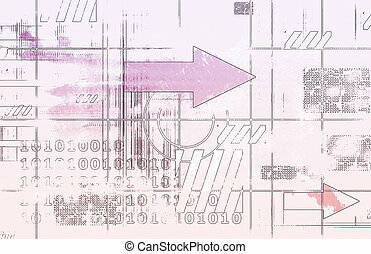 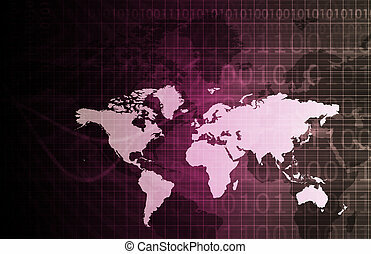 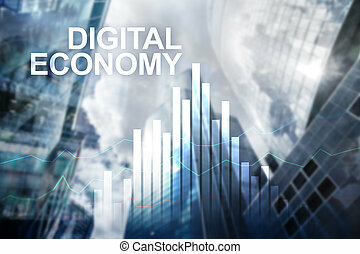 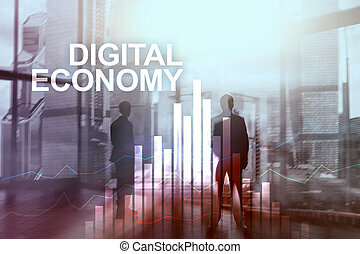 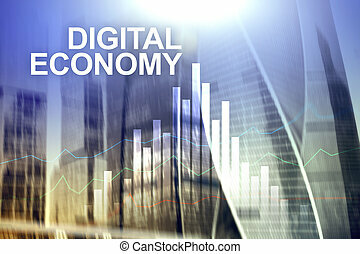 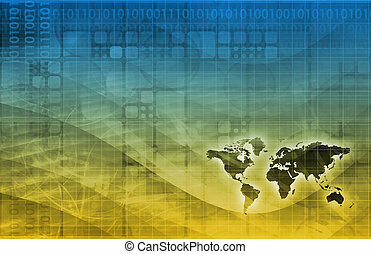 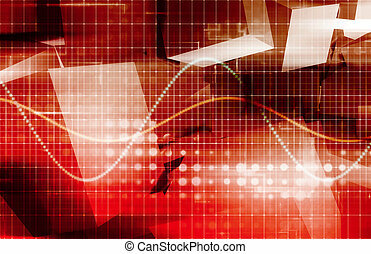 Digital economy abstract business concept wallpaper background. 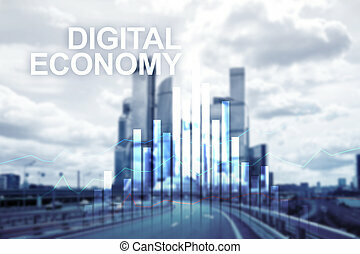 Digital Economy Concept. 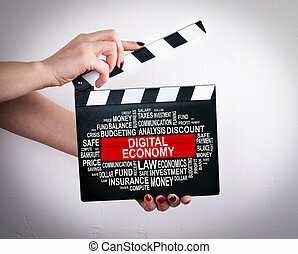 Female hands holding movie clapper. 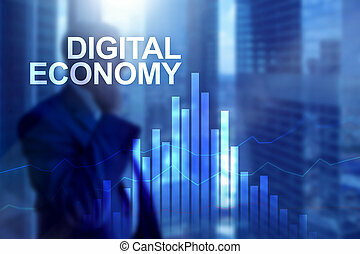 Digital Economy Concept. 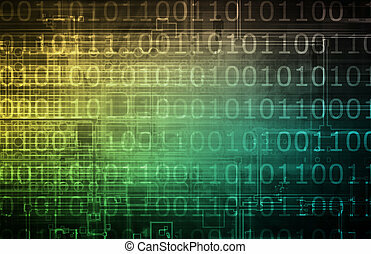 Man holding a tablet computer. 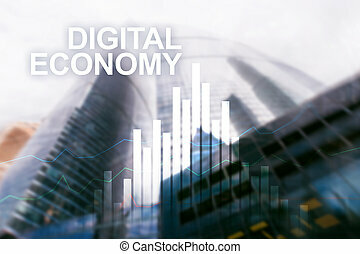 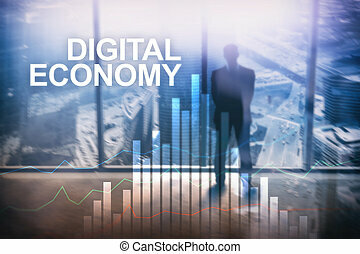 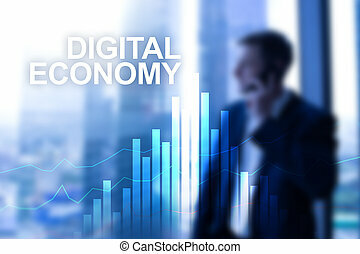 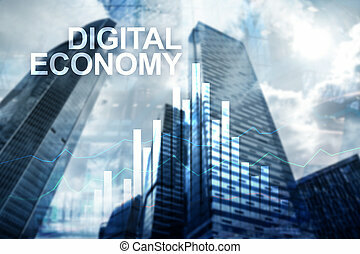 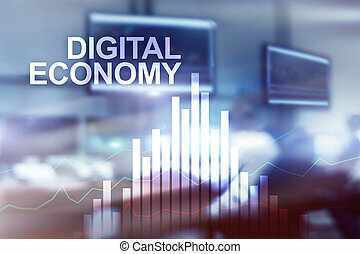 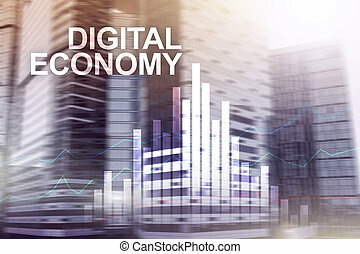 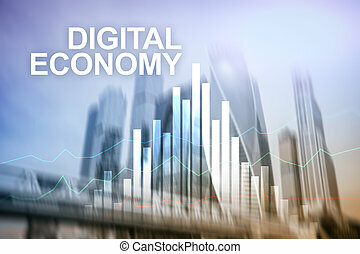 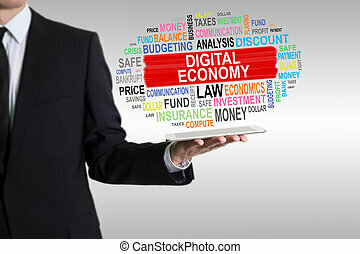 DIgital economy, financial technology concept on blurred background.